Real Art Ways will host an evening of appreciation for EBK Gallery, Eric Ben-Kiki, and the artists who presented work during the last 5 years. Projections throughout the evening will showcase images of the various artwork and events hosted by EBK. 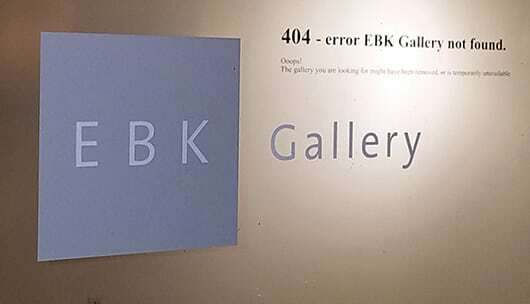 This is an opportunity to celebrate his prolific exhibition history at the Pearl Street space, meet and mingle with artists, and learn more about the past and future of EBK. Admission is free, light refreshments will be available. Click here to read Visual Arts Coordinator Neil Daigle-Orians’ op-ed about EBK in the Hartford Courant.